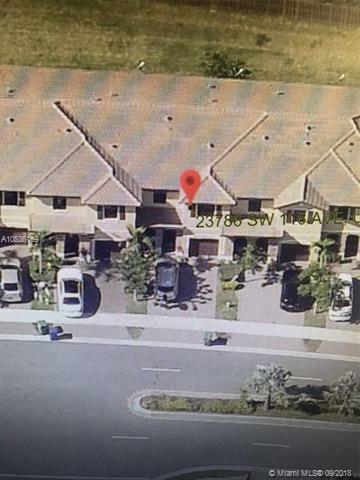 Nice townhouse in Silver Palm West. This house is in move in condition. Tile floors downstairs and carpet in the bedrooms. Silver Palm is located close to the SW 112 Ave exit of the turnpike and close to excellent schools, shopping and restaurants. The amenities include a large community pool with a large deck to take the sun, a gymnasium and children play ground. Large open track of land right behind the house for kids to play and additional privacy. Listing courtesy of Peninsula Realty Services Inc.